Many local cannabis bans in legal states are in rural communities. Rural communities in the United States have been struggling from an economic standpoint for many years. Industries that once flourished in rural communities, and the jobs they generated, are not nearly as robust as they once were. Farming, timber, mining, and other industries that used to bring jobs to rural parts of the country have either largely moved their operations overseas or have been dramatically affected by changing technologies and consumer-demand trends. Because of the reduced quality job opportunities in their communities, rural areas are seeing their populations shrink as citizens move to metro areas where job opportunities are better. One industry has the potential to help improve job opportunities in rural communities and that is the emerging cannabis industry. The cannabis market can bring fulfilling jobs to small towns. Adult-use cannabis sales are now legal in six states - Colorado, Washington State, Oregon, Alaska, Nevada, and California. Several other states allow medical cannabis sales. Despite a majority of states not allowing cannabis sales, the numbers involved with the emerging United States cannabis industry are eye-popping. In June 2017 it was estimated that there were as many as 230,000 jobs created by the cannabis industry in the United States. 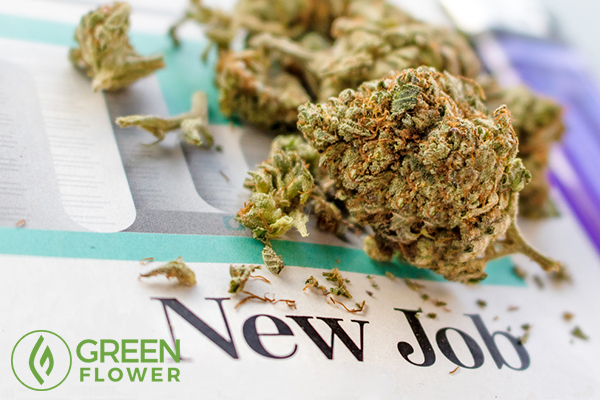 One study from earlier this year estimated that the cannabis market could create over one million more jobs by 2025. A lot of those jobs could come to rural communities if they embraced the businesses that create cannabis industry jobs. Those types of jobs can provide career opportunities that are fulfilling and worthwhile to the candidates that fill the positions. Unlike many jobs in industries that have historically been located in rural communities but are decreasing in number, cannabis industry jobs are part of an industry that has a bright future with no limit to growth in sight. One of the best examples of cannabis industry success in rural America is in the town of North Bonneville, Washington. North Bonneville is not only allowing the cannabis industry to operate in its community, it is home to the first and only town-owned cannabis dispensary in the country. Cannabis sales at the dispensary directly benefit the municipality. The cannabis industry is credited with saving the California town of Desert Hot Springs. The town was facing bankruptcy but after embracing the cannabis industry, the town is now flush with incoming revenue. Legal cannabis sales have also helped Huntington, Oregon generate large amounts of tax revenue and created much-needed jobs for the community. A number of other small communities in legal states have also benefited greatly from embracing the cannabis industry, which unlike many other industries, can thrive just about anywhere if given the chance. Unfortunately, not every rural community in legal states is open to allowing cannabis businesses to operate. Many rural communities have embraced the cannabis industry, however, several others have instituted moratoriums or bans on cannabis businesses. Cannabis industry businesses are prohibited from operating at all in many communities across legal adult-use and/or medical cannabis states - most of them rural. Industry bans hurt rural communities the most because job opportunities are so limited. In metro areas, other industries can fill the void, but in many rural communities, it's either cannabis industry or bust. Sadly, many rural communities choose the second option which results in loss of quality jobs and economic boosts from the cannabis industry that would otherwise benefit local governments and would-be workers. 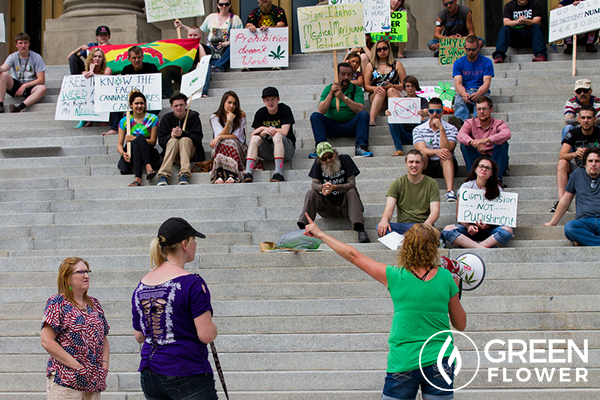 Cannabis activists in Idaho have their work cut out for them. If you live in a legal state where cannabis bans are already in place, do your part and urge your local lawmakers to lift the bans. This is true for metro and rural areas, but since rural areas are much more likely to have instituted bans, it's significantly more likely that your area of focus will involve a rural community ban. Arm yourself with the facts and accumulate examples of cannabis industry success in rural areas, such as those provided in this article. If you live in a state that has not yet legalized cannabis for adult or medical use, but reform seems likely to occur in the future, get out ahead of the issue and start educating your local officials now. In addition to finding examples of industry success, also educate yourself on the most common myths used to justify industry bans and find facts that debunk them. 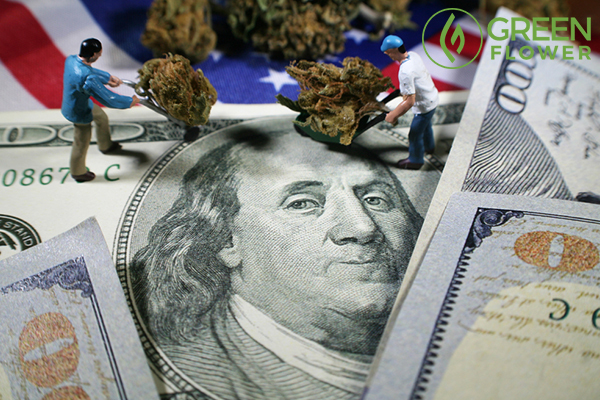 Also, compile economic facts that are specific to your area, such as the loss of jobs due to the shifting economic landscape and couple those facts with ways that the cannabis industry can help the situation. If we all do our part we can prevent/overturn cannabis industry bans which will help hardworking community members, especially in rural communities! An entire universe of trusted cannabis knowledge awaits you! Do you live in a rural community affected by cannabis bans?